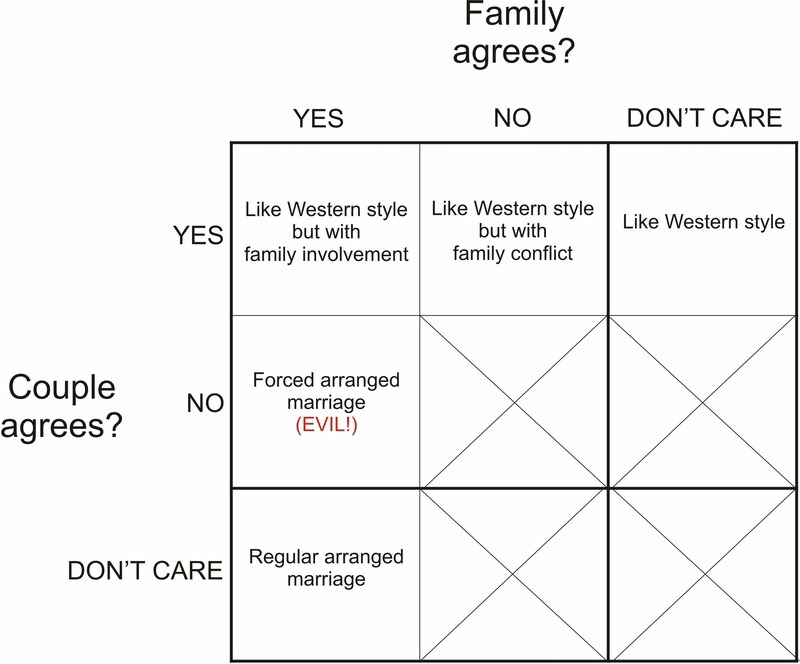 I keep getting irritated by smug westerners judging arranged marriage. So I thought I'd make a chart to make it clear. 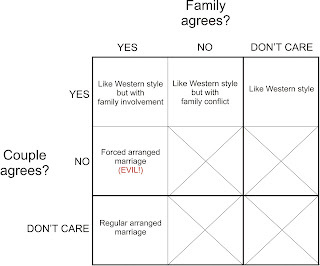 Each box in this chart assumes a marriage happens. We then ask if the family and the couple agrees. Note that its only forced arranged marriages that are evil. Of course those still happen, with mostly women being exploited, and I would gladly join forces with the smug westerners to fight this. But note that there are other kinds of arranged marriages. Particularly, the lower-leftmost square. This is how millions of Indians get married. Since they don't have access to dating, when they feel like they'd like to start a family, they let their parents arrange their marriages. I'm not denying that this would feel weird to a westerner. But that is a cultural difference, and I'd like to see a bit more tolerance for arranged marriage.